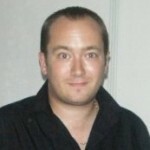 Remember Qwak? I had the game way back when it was part of a double pack of Team 17 games for Amiga CD32, alongside Alien Breed. Now both games are available for iPad in updated and brilliant form, I am full of gaming nostalgia goodness. The game has been available for iPhone for a while now, so a few of us die hard Amiga fans waited with baited breath to see if the developer would release a ‘HD’ version for iPad after he finished work on the sublime Retro Racing. Finally, the game is now on the App Store, and what a treat it is. A faithful updating of the iPhone version, this new release adds a massively important extra, which I will go into detail with later on. The game is essentially the same as it was before, with refined and redone graphics to scale up to the iPad’s big screen correctly. It looks great, and the chaotic gameplay is far easier to follow, with instances of your character becoming lost in the madness more infrequent than before. It also helps that your thumbs don’t take up so much of the screen. 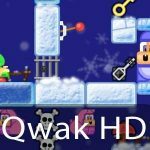 Qwak HD is a pure platformer of the single screen, Bubble Bobble variety, with your tiny duck running and jumping around the levels, chased by all manner of enemies, collecting fruit and finding keys to unlock the exit. Unlike many games of this type, you can really play this aggressively as the duck can shoot out deadly eggs that quickly dispatch most of the enemies you will encounter. Your supply of eggs is limited, however, so you will need to pick your fights carefully, especially on the later levels. Like Retro Racing, Qwak allows you to upgrade within the confines of each stage, with various armour upgrades available as well as a few different egg types to use. There are also umbrellas to find that make it rain different items. 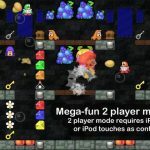 The game is extremely fast paced, but superbly playable, with switches to play with, rocket packs to fly around the levels, and big, bold and beautiful sprites making up the cast of enemies, items and tools. It all runs at a locked 60 fps, an impressive feat when you consider just how many things are flying around the screen at any one time. The game really feels like a coin-op port, but it has never appeared in arcades. 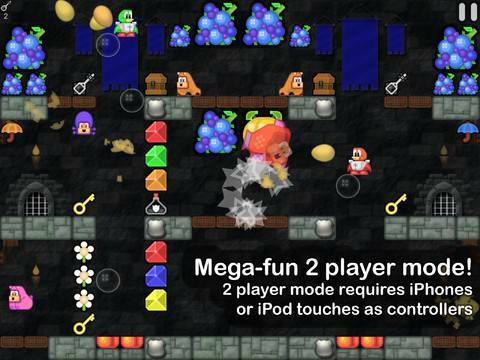 There are 70 levels to play through, a full tutorial, adjustable controls, Game Center leaderboards and achievements and a two player mode. Yes, a full two player co-op mode has been included, straight from the Amiga game. 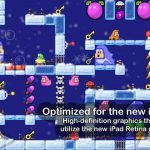 You will need two iPhones or iPod Touches in addition to your iPad to play this mode, but I’m sure this won’t be a problem for most people. This mode makes the game for me. Qwak was just never the same in single player mode. Overall, this is a wonderfully playable platform game that has beautiful 2D looks and plenty of levels to blast through. With online leaderboards, achievements, a two player mode and great music, there is no reason at all not to snap this up. 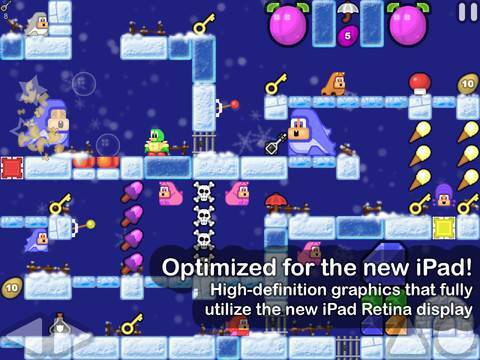 This is, without doubt, the very best retro style platform game available for iPad. Untouchable.